Clearly, Emma Mason, a sixth-grade student in her second year with International Virtual Learning Academy (IVLA), enjoys a challenge. In addition to her regular online courses, Emma meets weekly with her Gifted And Talented Education class in an online virtual classroom. In GATE class, Emma tackles problem-solving tasks, explores creative thinking, and enjoys project-based learning. When she is not stretching herself academically, she is building her gymnastic prowess. Want to meet this talented young woman? Let’s ask her a few questions. When did you begin gymnastics? I began gymnastics when I was two years old. I practice six days a week, approximately 32 hours. What do you like about gymnastics? I like that gymnastics teaches you discipline and other characteristics you wouldn’t really get from other sports. Plus, it’s fun!! In which events do you compete? Which is your favorite? I compete in all four events (vault, bars, beam, and floor). I’d say that my favorite event is bars. 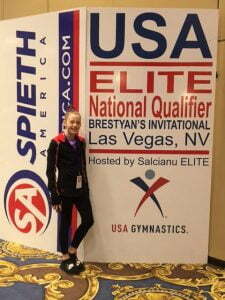 What are some highlights from your gymnastic competitions? 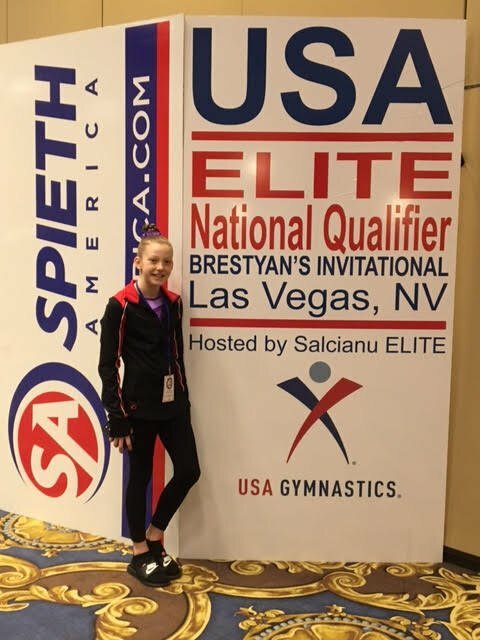 Some highlights from my gymnastics competitions/career include: winning first place all around at the Ozone Invitational, and last year I qualified for elite compulsory in Las Vegas. Why did your family choose IVLA? My family chose IVLA because it was highly recommended for online education. IVLA would also allow the student opportunities to take gifted classes. What do you like best about IVLA? I like IVLA and homeschool because it is flexible with my schedule. Want to see Emma’s latest GATE project? I choose Florence Nightingale because I love medicine and I knew she was a nurse. I knew some things about Florence Nightingale, but I wanted to learn more. I wanted to learn about her childhood, her experience during the Crimean War, her learning process (childhood, college, and nursing school) and her overall life. I learned that her whole life she loved helping others. When she was in her 20s she decided to pursue medicine. She went to college and nursing school. Florence also treated the wounded soldiers in the Crimean War. Later in her life, she wanted to help others pursue their dreams in medicine so… she built a nursing school. I learned a lot about Florence Nightingale’s experiences in medicine. Learning about her experiences made me want to become a doctor even more. Just learning about how medicine affected her life, it gave me a different point of view that really influenced me. Watch Emma as Florence Nightingale! Thank you, Emma, for sharing with us!